30% of Americans suffer from a sleep disorder, so it's not surprising that insomnia is one of the top two reasons for legalizing CBD or medical cannabis prescriptions in many states. What is the other great reason? It is pain; which also leads to insomnia in many cases. Insomnia affects not only your energy but your normal weight, memory, heart, creativity, and increases your stress level. Biologically, it was found that the CB1 receptors of the human body are involved in the sleep regulation. The study started from the 1970s, and it showed that THC, the molecule in cannabis that causes a high, affects CB1 receptors and causes deeper sleep. It ultimately adjusts and changes our body accordingly. As per the patients’ feedback on various strains, it has come up that cannabis can relieve stress and help you to relax physically. 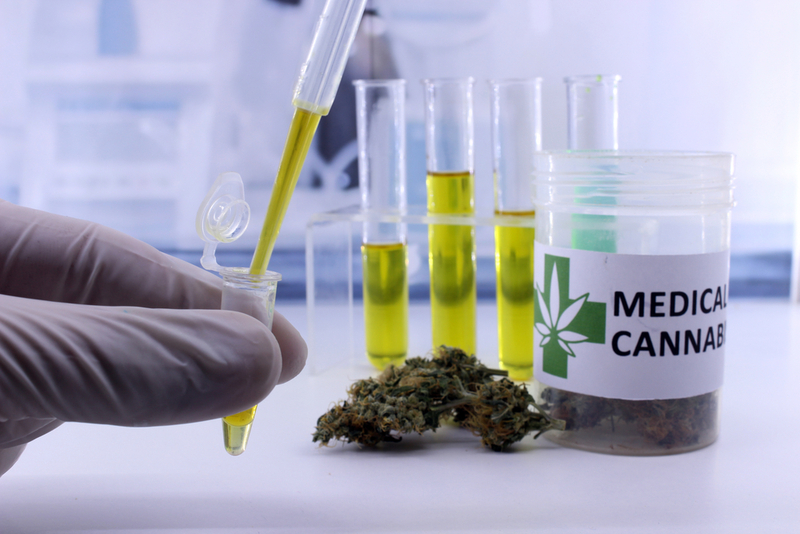 Studies have also shown that cannabis can save lives for those who suffer from chronic pain, PTSD, multiple sclerosis, insomnia fibromyalgia, and others. Difficulty in sleeping due to chronic pain problems or rested feeling struggles due to PTSD nightmares are different problems, and studies suggest that unique approaches are required in every situation. The human sleep cycle includes light, medium, deep and REM sleep. Our sleep cycles focus on rest and restoration of different parts of our bodies and help to regulate different functions of the body and brain. Less REM sleep can lead to some emotional imbalance and difficulty in memory creation. In other words, people with sleep disorders often invest too much time in REM, so that cannabis helps to regulate these cycles. For people with insomnia and nightmares, CBD enables sleeping longer, lightens nightmares and helps you sleep because you are more relaxed. Thorough research on the effectiveness of cannabis showed that with equal parts of THC and CBD were the best strains because they balanced restful sleep without causing memory problems. Strains with higher THC concentrations caused some morning light memory problems. Pain keeps some people awake while others have troubled sleeping. THC and CBD strains and consumption methods would be worth of experimenting, though it depends on what you are struggling with. You don't have to get “high” in the equation. First, ask yourself how you prefer cannabis. Note your response to different methods and consider the particular struggles around sleep. Second, realize that there is no best method of CBD consumption for insomnia in general, it is decided as per your unique condition and preference. Have dried cannabis using butter or oil or take it as a vapor. The effects can be felt quickly. When experimenting with sleep, it is advisable go for micro dose - just one to two small puffs, until you can see how this affects your sleeping habits, rather than during the weekend so that if you overdid you do not wake up groggy. The oil is placed underneath the tongue or added into food. The effect, keeping them under your tongue and bypassing the lung-liver-blood stream, is stronger and more immediate than vapor. Due to strong and long effects, smaller doses are initially recommended. Some medical practitioners recommend not using cannabis-infused foods due to the difficulty of dosing. If you know exactly you would respond to the edible and discovered a consistent and quality strain, that is the best way to utilize foods to help your sleeplessness, especially if it's your main problem to remain asleep as they last longer. For the right dose of CBD for insomnia, the experts always suggest starting low and go slow to get the maximum benefits. If you are looking for CBD products in its purest form for insomnia or any physical ailments, come to any CBD Plus location and get the right products at affordable prices. Good news for people in Tennessee. We have a CBD store in Tennessee as well so that you can visit it, talk to our product specialists and choose the right product for you. How Does CBD Oil Works and Science behind It?